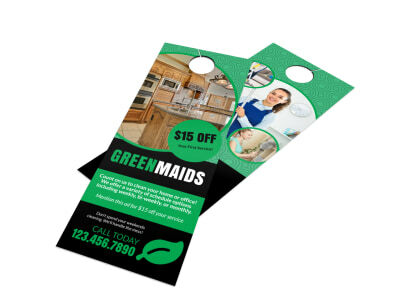 Customize our Cleaning Maid Service Door Hanger Template and more! 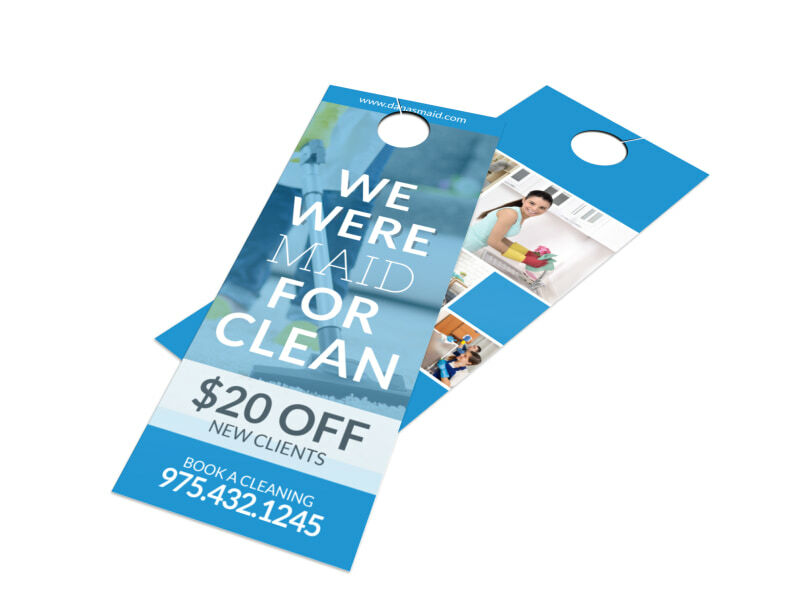 Canvas the neighborhood and leave your message behind with this door hanger for your cleaning or maid service. 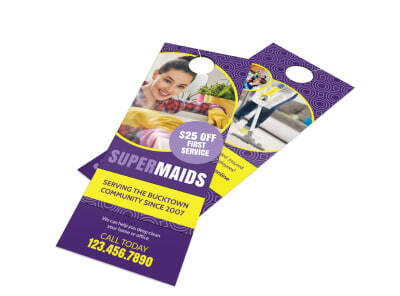 Advertise a special or an offer for new customers, and then leave your contact details in bold text so that homeowners can reach out. Get busy on your design now; our online editor makes it easy and fun to design your hanger in minutes.